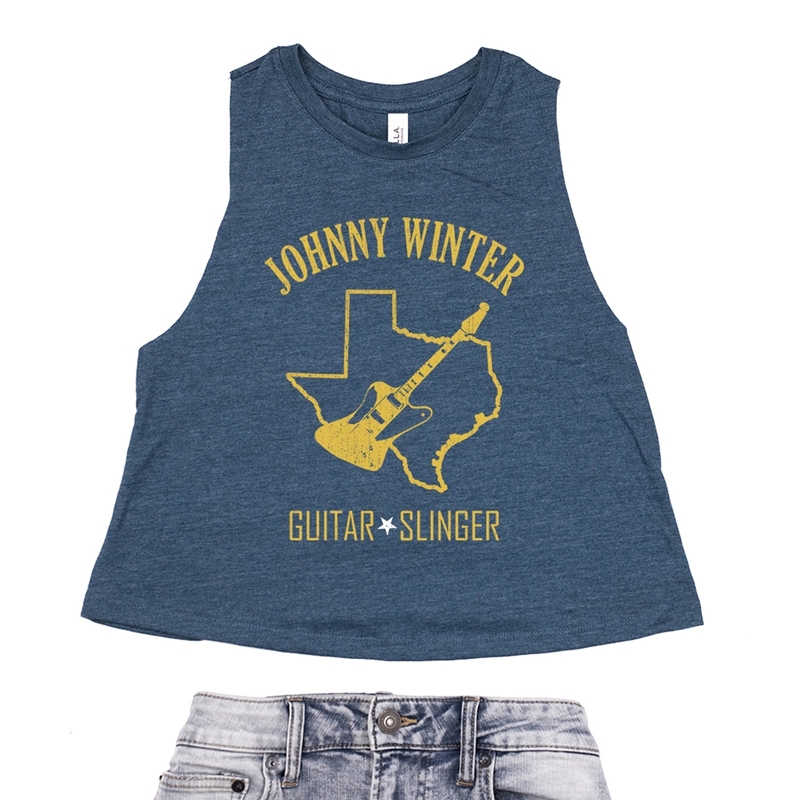 Official Johnny Winter Crop Tank. Every sale directly benefits Winter's estate. 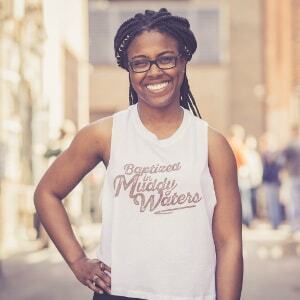 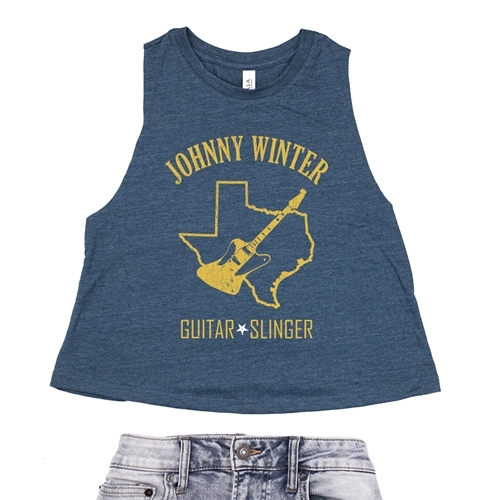 The distressed design features Texas, Johnny's Firebird, and "Johnny Winer Guitar Slinger"
The Bluescentric Brand Johnny Winter Racerback Crop Top comes in relaxed cropped-fit sizes Small-Large. 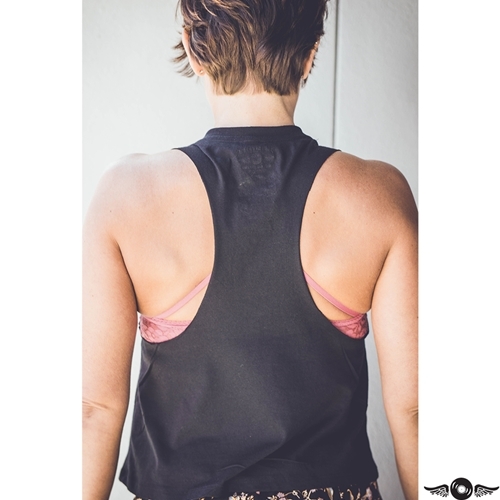 It is 52% airlume combed/ring-spun cotton, 48% poly jersey, racerback and features raw edge (unsewn) arm holes.